“Rugby? Hikkaduwa Beach Fest? Nah, I’d rather be kitesurfing! It’s extremely addictive and loads of fun. You’re completely free, and the only noise you hear is of the wake coming off the back of your board. It’s just you, the wind and the board,” says Dilsiri Welikala. Ok, so it’s still only February, and we are still deep in winter with some of the coldest weather still to come – perhaps. But… but but but, spring will be here shortly and we’ll soon be dusting off our kiteboards, untangling the strings and heading to the closest beach. I know you guys in such exotic places as Montana, New Brunswick, Idaho, Saskatchewan, Norway, Finland, etc have probably been having a fabulous winter kiting on your broad open plains and frozen lakes, but down here in the south of France we look to the unfrozen Med for our kiting entertainment… and spring is coming closer. This is Hyeres where we do most of our kitesurfing, a lovely spot with good wind, a good kite school and lots of windsurfing and scuba diving in the vicinity. Keeps the whole family amused. Well, we’ve touched on this subject before and I don’t really think you can say “this is the best…” because it is very much a matter of choice, preference and ease of access, so below I will mention a few far-a-field beaches which might be counted as ‘easy access’ if you happen to be passing that way! The well known beach of Tarifa on the southern tip of Spain should ring a few bells. It’s famous for its reliable winds and so most visitors to this region are windsurfers and kiters. It’s a great place to learn, but is even better for intermediate and advanced kiters – and the apres-kite life is excellent! Definitely a good place to hang out. The beach starts in town and extends about 6km to the Club Mistral at the Hurricane and then goes round the small headland past Las Dunas to another 8km of sandy beach – all this space ensure that beginners and experts alike have plenty of room – even in the height of summer. However, one drawback… if you are planning to travel between May and October it is imperative to book at least four months ahead due to the limited amount of good accommodation. Don’t say we didn’t warn you! Thanks Sarmitel for this wonderful video. Another place you hear about all the time is Cabarete in the Dominican Republic. It is said to be the most perfect kite surfing destination in the world – quite a claim to fame. In fact, it is so good that many a kitesurfer has moved there in order to be able practice kiting all year round. It also hosts the largest kiteboarding competition in the world – always the third week of June. The main beach has now been officially designated the Cabarete Kite Beach. The reason for its popularity? The trade winds provide a steady consistent easterly wind, which gives Cabarete perfect side-onshore kiting conditions most of the time. In fact the wind is so reliable that you can generally guarantee that there will be no wind until 11a.m. and that this first wind is usually good for beginners. At around 12:30 – 1:30 the thermals kick in and make the wind a lot stronger reaching its strongest	at about	4p.m. At around 6 the wind dies off again. If you are holidaying in the Dominican Republic you can bank on the fact that 8 out of 10 days will have good wind. Not bad… and thanks to drtouristtv for this video. Cape Town has at least 10 wonderful kitesurfing beaches. The consistent wind, great waves and stunning views make Cape Town one of the worlds kitesurfing hotspots. It is one of the best kitesurfing locations in the world, and by far the best kitesurfing location in South Africa. Professional kitesurfers move here between October and March to get in some good practice. Generally the southern peninsula is better suited to more experienced surfers whilst the northern pensinsula favours the intermediate surfers – except for Hakgat which is only for experienced surfers. 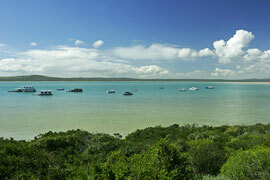 Langebaan Lagoon is the best spot for beginners as, in contrast with all the other beaches which offer great wave riding and jumping experiences, Langebaan has some of the best flat water conditions in the world. Main Beach, New York is just minutes from Napegue, Long Island, and is perfect for ocean riding in any breeze: and the breezes come from nearly every direction – from the west, south-west, south, south-east and easterly directions. Main Beach is a long, golden, clean beach. There is plenty of space and so far no rules…The sandbanks are piled high and the waves are some of the best in New York. There are many sand bars just off-shore which makes for some fun kickers to jump off. It is a 2-hour drive from New York city, but you can find some really challenging and exciting kitesurfing spots. It can get extremely cold in winter though! A great kitesurfing video. Amazing what you can get up to! Thanks prayfawind for posting this. Love your pseudonym as well – perfect. Did you read our blog two days ago? … How similar (or otherwise) is snowkiting to kitesurfing on water? We have shown some classic instances in the past of when one or other (snowboarding and kitesurfing) goes wrong – well, snowkiting is relatively new on our blog and here is another classic … although happily no-one appears injured, and thanks to BUZZZZ101 for posting it. Although a bit noisy I think you can put it down to fear, concern and relief! I’ve been into a forum re. this video and the general opinion is that it is genuine – there are no no edits and no sped-up digital moments! Lucky he held on!!! How different is SNOW KITING to KITESURFING on water? They say that Snow Kiting is a lot easier to learn than kiteboarding on the water. This relatively new discipline is a combination between snowboarding and kiteboarding. It is easy to stand on snow, which makes the whole process easier. It also takes a lot less wind to drive a board across snow than it does across water. The whole learning experience is a lot less daunting as you need much less power and wind to get you moving. Finally, holding an edge in snow is much easier than in water making up-wind progress much easier to master. It strikes me that one of the best things about snowkiting is that you are not limited by access to mountains and lifts. Wherever there is snow covered terrain – you can kite. A major additional bonus is that, invariably, you will be kiting alone or with friends – but you are unlikely to be kiting with the masses. What better sport could there possibly be? You can snowkite anywhere where there’s a field, snow, wind, and space, and if you live in an area where the lakes freeze over and get powder – then that too makes for a good snowkite surface. Although a relatively new sport, snowkiting has already had 4 annual Snowkite Masters events and will be having its 5th in February/March 2009. Over 100 snowkiters from as far away as Tahiti took part in the 2008 event, held in Utah. The Kiter-Cross races gained the most popularity as participants and spectators were entertained by a fast and dynamic course. The terrain created unique challenges for competitors, with quick downwind-downhill runs and technical upwind-upslope reaches. The 2009 event will be held on the weekend of 28th February, 2009, again at Skyline, Utah. The French Snowkite Masters will be held at Serre-Chevalier from the 10th – 17th Janaury. This event will match up the best French snowkite freestyle champions with the top British snowkite freestyle riders and a host of other snowkiters from around the globe. Here’s another video, with thanks to mwiemarkus. Makes you want to leave all this rain behind, and rush up to northern Europe to find snow expanses like this. For you guys over there in America you must have vast areas where snowkiting can be done. Lucky things. The French refer to The Doldrums as the ‘Le Pot au Noir’ and that is pretty well what it was for Anne Quéméré as she tried to cross through the region en route to Taihiti to become the first person ever to kite across the Pacific Ocean. Whilst battling her way through she felt justified in appointing herself a new member of the “No Pity For The Doldrums Association”! The news came during the night. Anne QUÉMÉRÉ was forced to abandon the Adrien Challenge of crossing the Pacific by kite and without assistance. “I must take this unfortunate decision and it is one of the most difficult taken in my lifetime” stated Anne, during the night. She left San Francisco on November 4th, and travelled close to 3500 kilometres over the 7000 that had been projected After a period of good sailing, Anne QUÉMÉRÉ joined the Intertropical convergence zone, otherwise known as the Doldrums. Since her arrival in that area, aboard the Oceankite she did not succeed in advancing any significant distance. Then came the “shock” of four days past when the kite was torn and the pulley system permanently damaged. “After the shock to the Oceankite over a week ago, I had great difficulty myself , recovering from this event. It’s as traumatic as one suffers after an automobile accident. I’ve lost confidence in my equipment as well as myself. It’s not pleasant but, its obvious. Without wind, one goes nowhere.” There hasn’t been any wind for the past ten days or what wind there was, came from the South which was pushing the Oceankite back on its track. “In one night, I lost all the mileage I had gained in one week” she explained over the phone during the night. And, if that wasn’t enough, there’s no more power on board, since this morning. A cargo ship, 25 hours away will attempt to pick her up. The manoeuvre is difficult as her transponder is out of commission. From the sponsor’s point of view, Adrien, Bretagne International and Yslab, they have already made their position clear. The safety of Anne is the priority. Anne’s rescue will be the subject of a further release later on in the day. Anne was safely rescued but sadly had to abandon her Oceankite as conditions did not allow the huge cargo ship the chance to pick it up. Anne had waited 48hrs before taking the decision to abandon her attempt to cross the Pacific single handedly. It will have been an enormous wrench to her to have had to submit to the decision. So watch this space, I imagine we’ll be talking about Anne again before too long! And our sympathies go out to her in what must be a difficult moment for both her and her team. What she achieved was still incredible, and bold, and adventurous. It deserves praise.